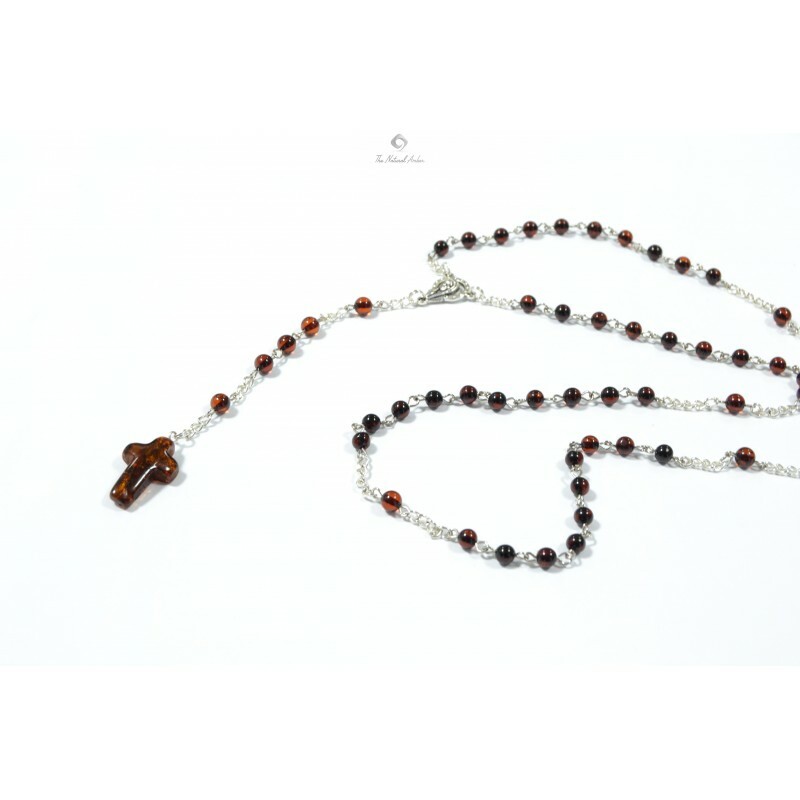 Short Description: Christian Rosary made from Natural Baltic Amber. 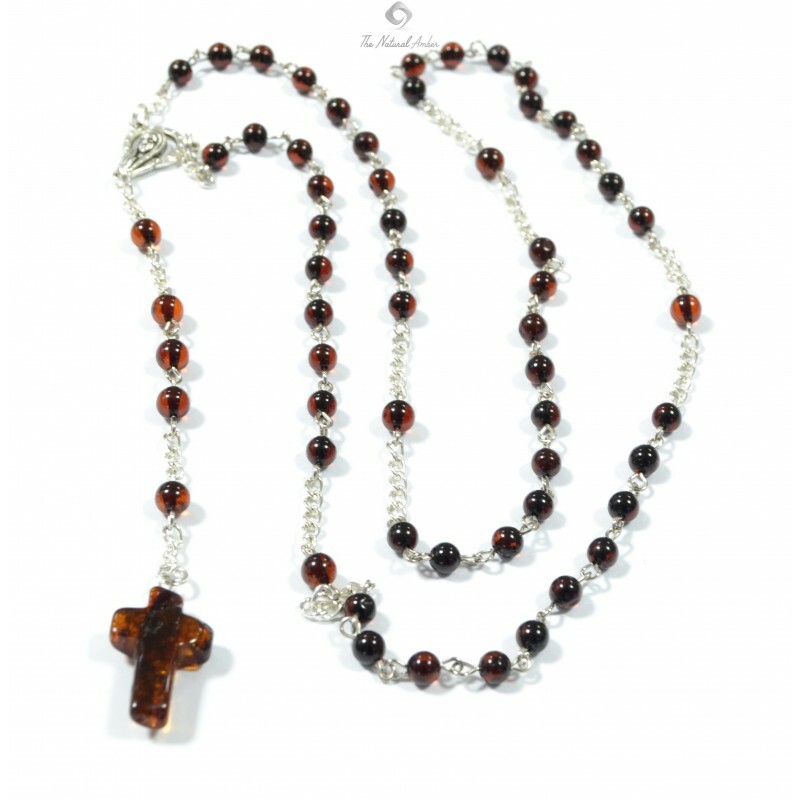 Round beads in this rosary are coupled with metal loops and on the end there is a Natural Amber cross. 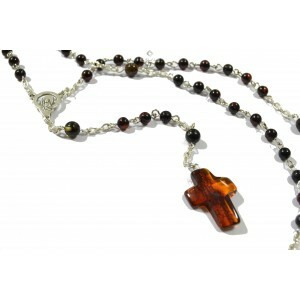 Amber souvenirs is a great gift for business clients, loved ones or friends. It's not just gifts, but also a practical everyday things in life. 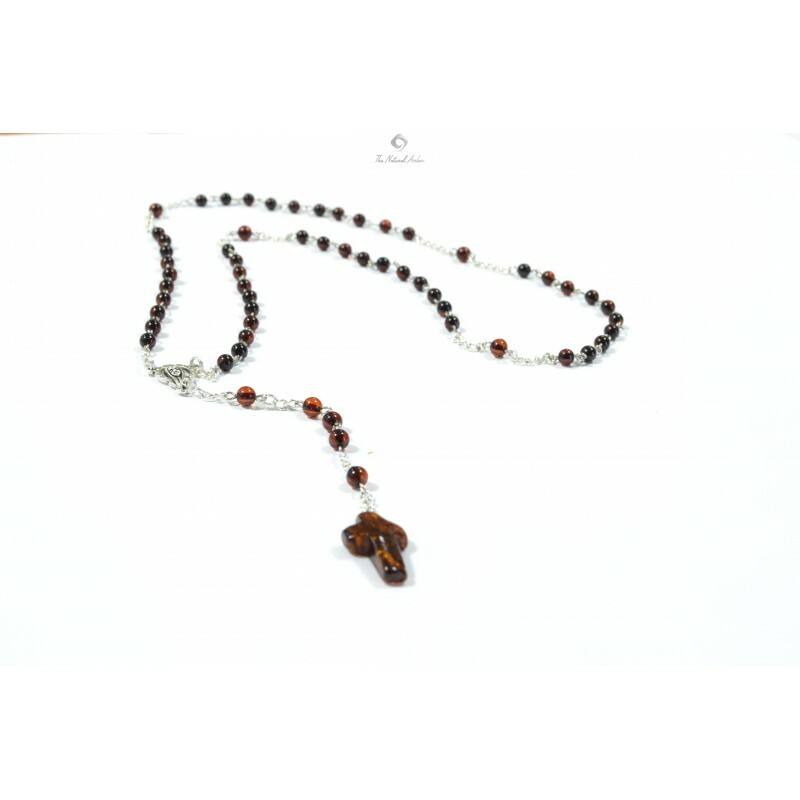 Business card holders, mirrors, key chains - these are just a small part of this range of amber souvenir. Amber tree looks fantastically large and special linen bag - a gift - the tree of life. Souvenirs are carefully produced and inspected before you shipping!